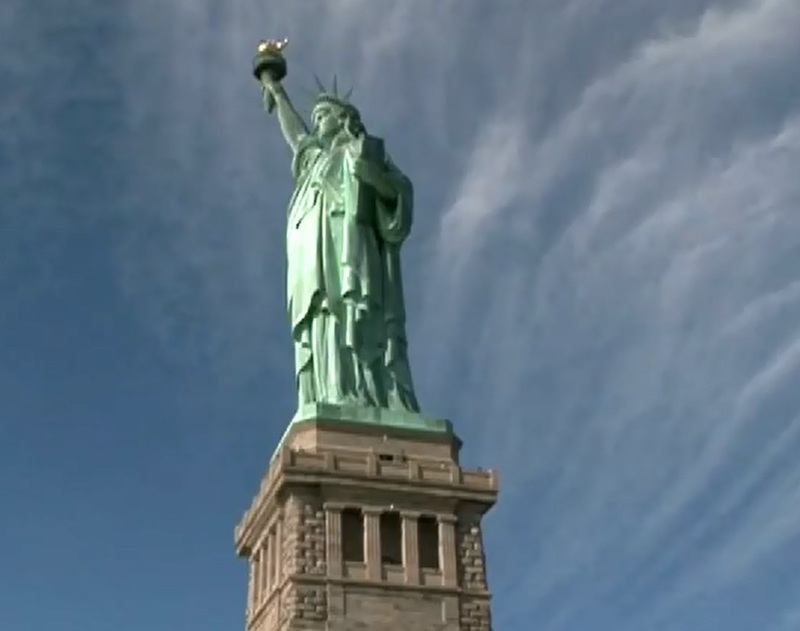 Why is the Statue of Liberty such an important symbol of the United States? – Idiot’s Questions? Why when someone dies do we say,“He bought the farm”? Who was Matilda in the song “Waltzing Matilda”? Why is the Statue of Liberty such an important symbol of the United States? The Statue of Liberty stands for many of the nation’s most cherished ideals: freedom, equality, and democracy. Perhaps most importantly to the millions of immigrants for whom the statue was one of their first sights of the United States, it stands for the ideal of opportunity—the chance to begin a new life, in a new land. While their lives in the United States were frequently difficult, for millions of immigrants America offered the chance to escape from grinding poverty and abusive governments in other lands. Standing in the midst of New York Harbor, the point of entry into the United States for so many immigrants arriving on ships from other countries, the Statue of Liberty has been a powerful symbol of opportunity for more than 100 years. A poem called “The New Colossus,” written by Emma Lazarus, was mounted on the statue’s pedestal in the early 1900s. Its famous lines include these words that Lazarus imagined Lady Liberty to be saying: Give me your tired, your poor, Your huddled masses yearning to breathe free, The wretched refuse of your teeming shore; Send these, the homeless, tempest-tost to me, I lift my lamp beside the golden door! Previous Previous post: Why do baby boys wear blue and girls wear pink? Next Next post: Why do some people get sick when they read in the car?